Consume fuel units and fight monsters! 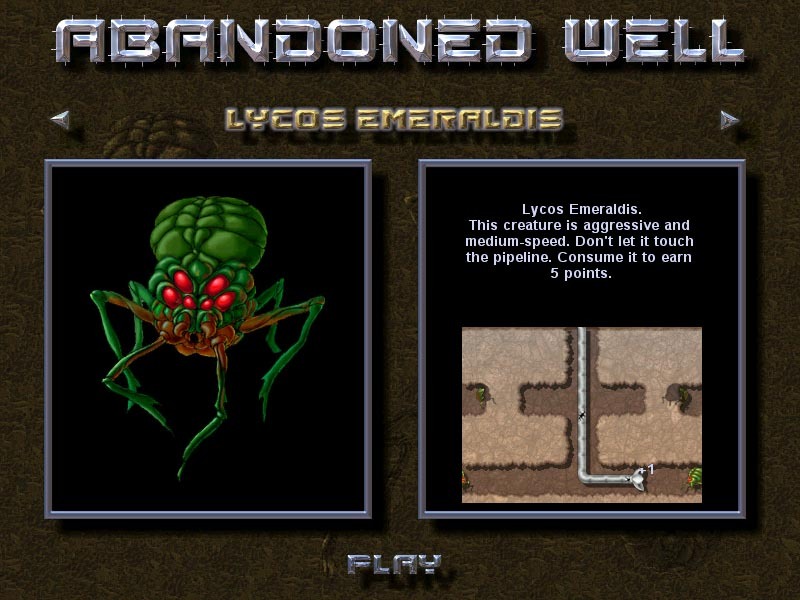 ABANDONED WELL Move the collector up and down, left and right to collect all fuel units from a level. Use SPACE to return the collector to the ship at a fast pace. Avoid monsters or swallow them, except toxic ones. Read carefully the information about every new monster or bonus device to avoid danger and get more scores. no restrictions and no nag-screens. 5 different climates (perpetual frost, desert, wood, wastes, and under water tunnels). 8 types of bonus devices. impressive graphics and powerful music. 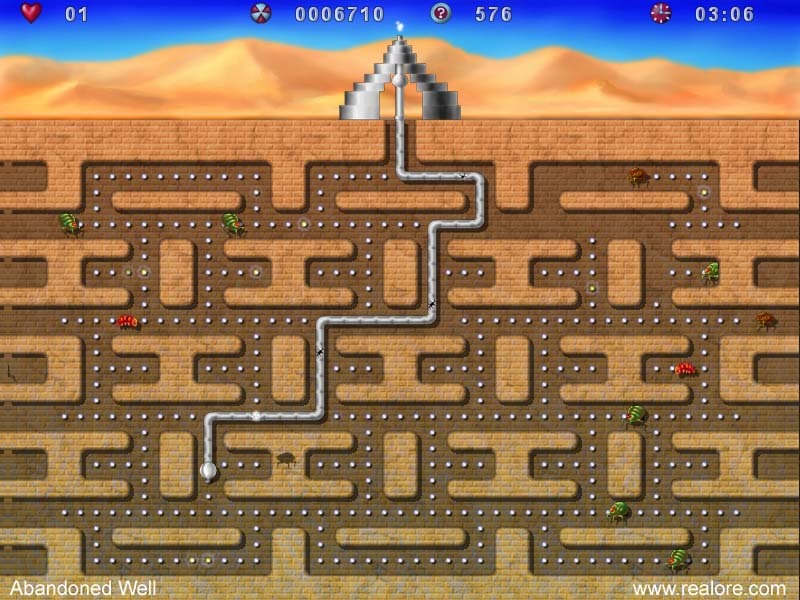 Invader Worm - Invader Worm will put your mouse & joystick using stamina the test. Diamond Drop Game - The family game the way it should be. Instructions: every family member should try it. Digi Pool - It is a cross pool game between billiards, mini golf and an arcade puzzler, a new pool game for you. 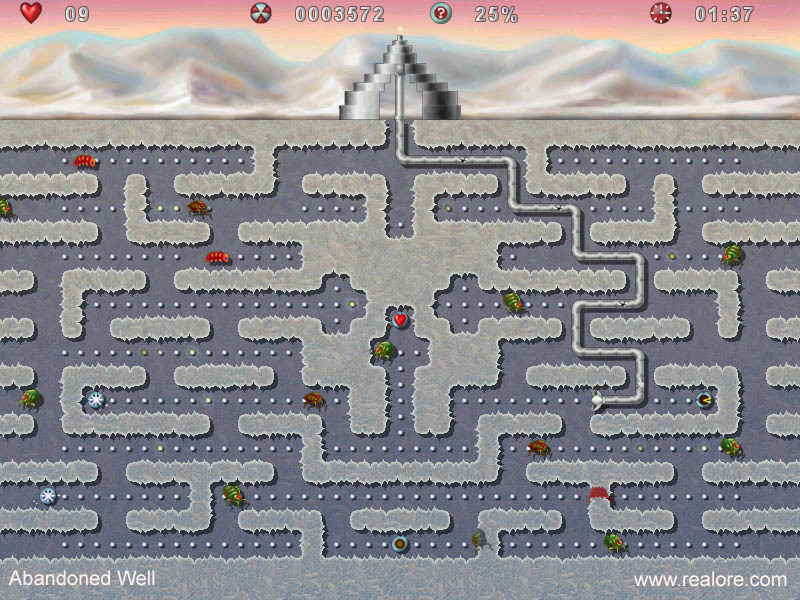 Jezzball Deluxe - A totally new kind of a remake of the popular Jezzball game and Jezz Ball Xonix game! Jezzball Ultimate - This is a totally new kind of a remake of the popular Xonix Jezzball game, download it to have a try now!